Electric motors consume 19% of the total energy produced in the United States. Of all the electrical energy used during manufacturing more than 70% of it is consumed by motor systems. In the processing industry this figure increases to 90%. In the last decade, motors began being controlled by variable frequency drives (VFDs). This brought advantages in terms of saving energy, but disadvantages in terms of overvoltage spikes, heat, and power loss on the motor. The square wave and overvoltage spikes, also referred to as dV/dt, often create additional heat stress on the motor, leading to potential damage of the winding insulation and bearings of the motor. Eliminating these spikes on the motor cable reduces the heat stress surrounding the motor and result in increased motor performance and extended motor life. In the past, shielded cables have been used as a solution to contain electrical noise. However, there is no need to use shielded cables between the VFD and the motor with an Enerdoor sine-wave filter installed. The sine-wave filter eliminates noise while a shielded cable is only able to contain it; proving that the Enerdoor sine-wave filter is a superior solution to the shielded cable. 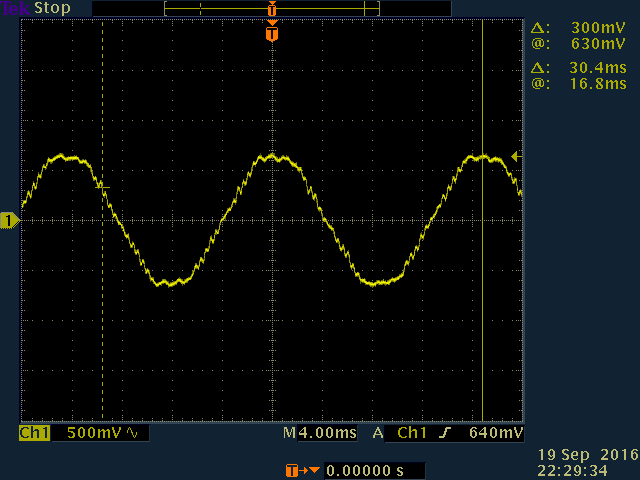 Standard waveform measured when the motor is controlled by a VFD drive. 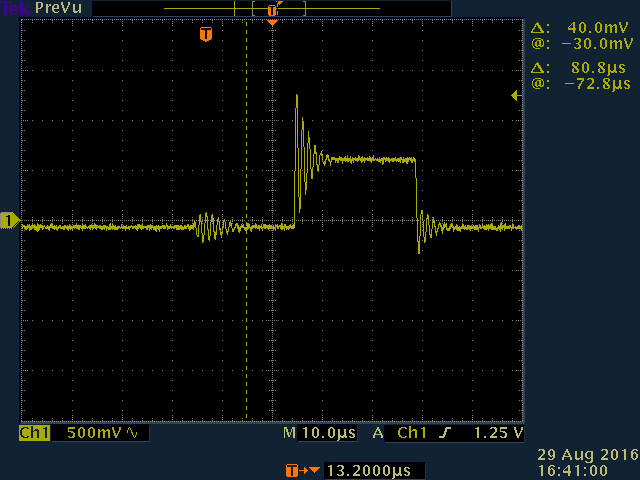 Standard waveform measured when Enerdoor sine-wave filter is installed on motor controlled by a VFD drive. Enerdoor mobile testing laboratories are capable of performing motor analysis on motors up to 690 Vac. Enerdoor instruments are able to analyze the wave form, voltage and current form, which includes shaft voltage, directly on the motor. Motor analysis allows us to understand the root cause(s) of premature motor failures and the ability to provide the correct solution.